In Norse mythology, the squirrel Ratatoskr (whose name is usually translated as "bore-tooth", and who is sometimes depicted with a unicorn like horn) is the messenger between the serpent at the base of the world tree Yggdrasil, and the eagle living at the top. Neither eagle nor serpent much like each other; Ratatoskr does not help matters, as it is known as a gossip who keeps the two rivals angry with each other. 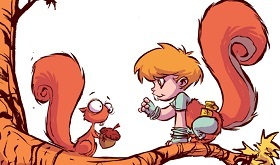 That's pretty much Ratatoskr's role in Norse mythology. 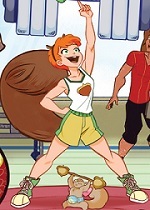 The squirrel is a very, very minor character. 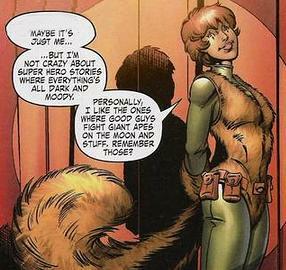 Despite its small stature (both literally and figuratively), Ratatoskr has managed to gain an important role in a Marvel comic and become a playable character in a popular video game. And the squirrel's two entrances happened one day apart. Guardians of the Galaxy #24 at 45. 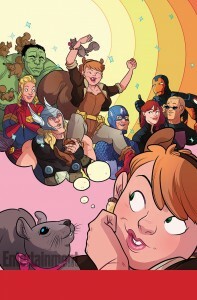 Rocket Raccoon and Squirrel Girl have ongoing comic book series. That is all. 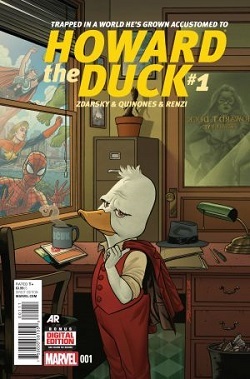 One of Marvel’s most unusual super heroes (and that’s saying a lot!) 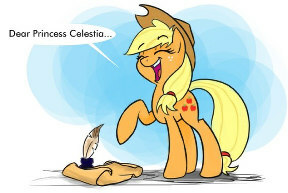 is getting her own full-color series this January. 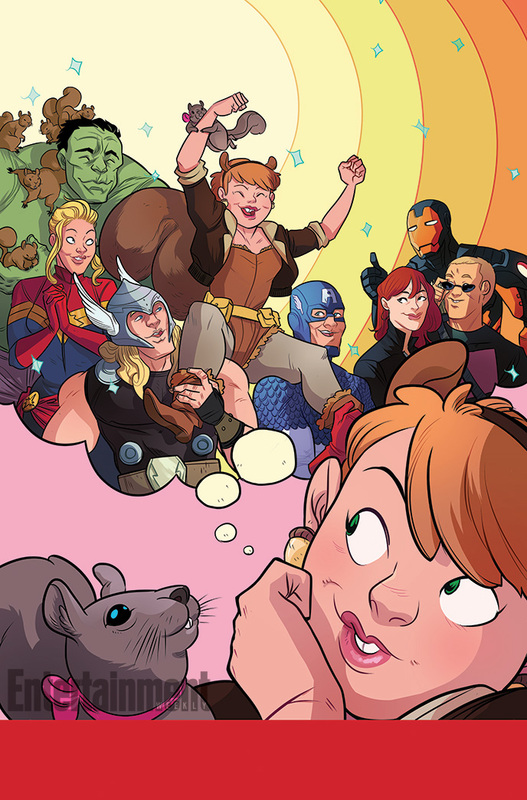 The Unbeatable Squirrel Girl follows the adventures of, who else, Squirrel Girl — perhaps the world’s most upbeat superhero. And with her accomplishments, who wouldn’t be? 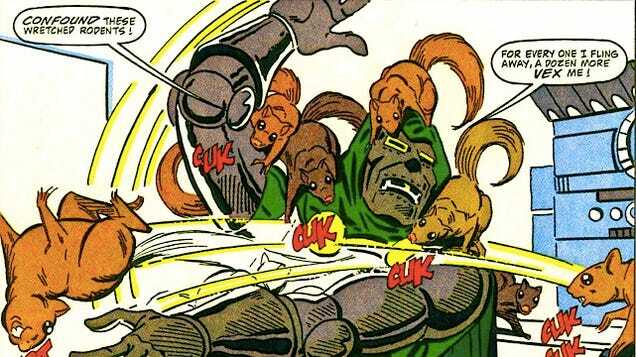 With the help of her squirrel-like powers and her trusty squirrel sidekick, Tiptoe, she’s taken on and defeated some of the Marvel Universe’s biggest and baddest super-villains. 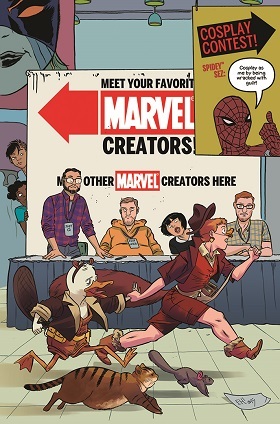 From Entertainment Weekly: “In Unbeatable Squirrel Girl, writer Ryan North [Adventure Time] and artist Erica Henderson [Quantum & Woody] take on the lighthearted superheroine whose mutant gene gives her an endearing cocktail of squirrel-related superpowers. 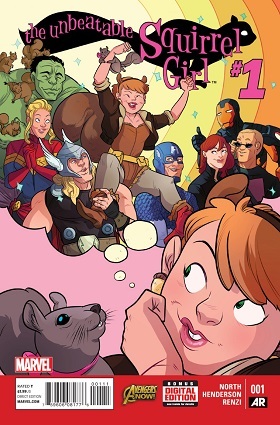 When the comic book begins, she’s starting college—but in no time at all, Squirrel Girl is defending Earth from threats most cosmic.” Check out the interview with Ryan North over at Comic Book Resources. crossaffliction, what are you doing? You can't post all those @$#%ing Newsbytes. Contributors this October include Chipotle, dronon, Fred, GreenReaper, Higgs Raccoon, Kakurady, Patch Packrat, RingtailedFox and Sonious.